I am a big fan of Jeff Mizanskey. For those that are not familiar with Jeff Mizanskey, he was sentenced to life in prison in Missouri for non-violent, marijuana-only offenses. After serving over two decades of that prison sentence, and after a very concerted effort by cannabis activists and his family, Jeff Mizanskey was freed earlier this year. Since then Mr. Mizanskey has been making public appearances all over the place, and it makes my heart skip a beat each time I see his name on a schedule. Join us for an unforgettable evening of celebration and networking, and help raise over $100,000 toward ending cannabis prohibition! Who's ready for a Canna Cruise!!!! 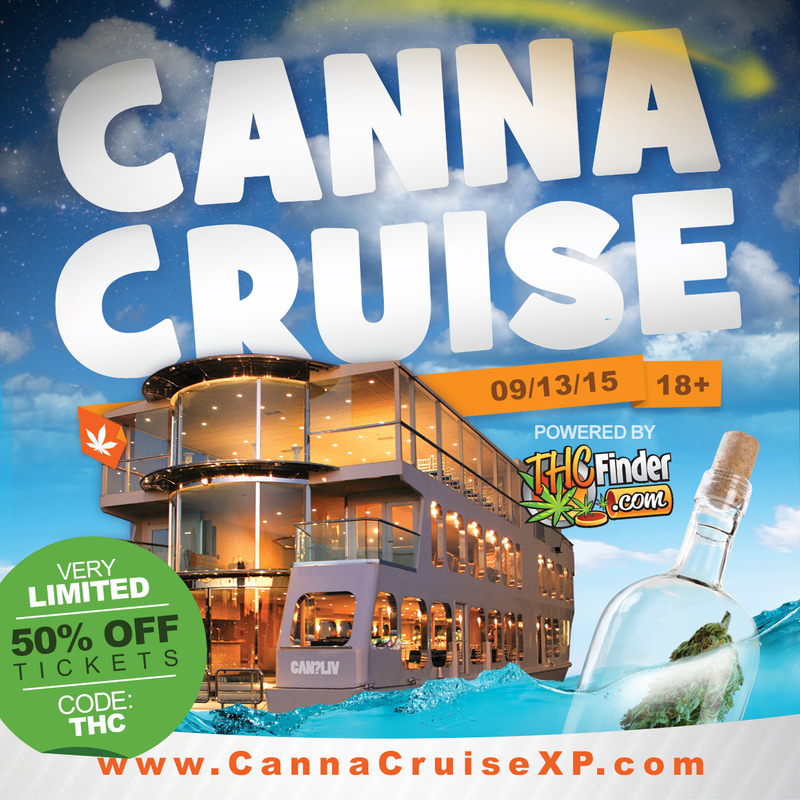 Newport Beach Ca- Participants will be departing via The Eternity at Electra Cruises for an evening of canna-bliss! Offering four individual decks, The Eternity, is the perfect vessel to demonstrate the diversity encompassing the cannabis industry- education, fine dining, entertainment, and healing at its finest. Boarding Passes available today, in limited supply. 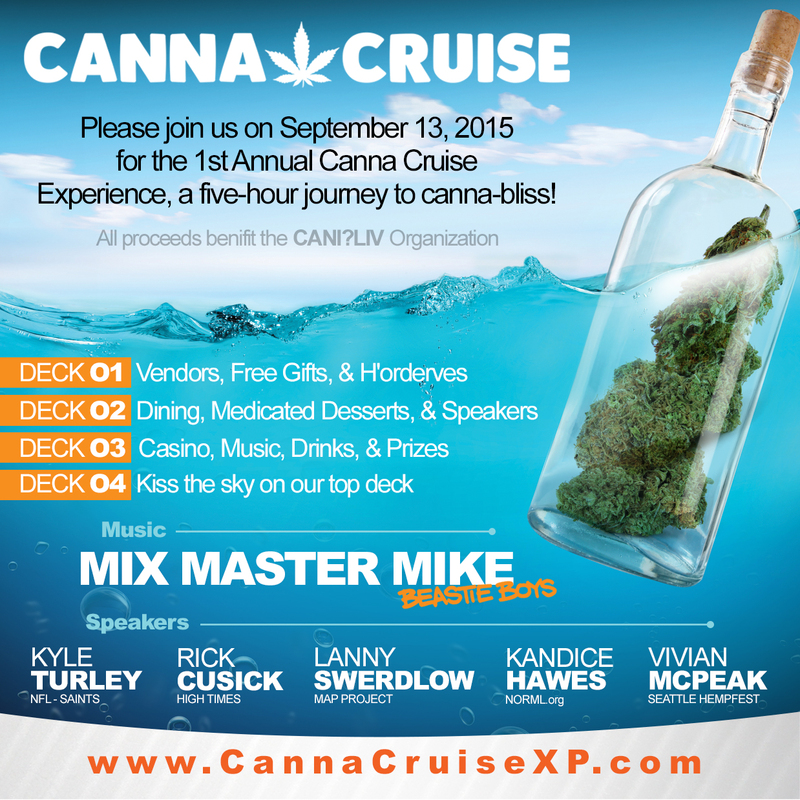 The Canna Cruise Experience is a cannabis friendly awareness event, and fundraising effort, presented by CanI?Liv. This event benefits CanI?Liv’s efforts to establish Wellness Facilities offering comprehensive healthcare and prescription services to medicinal cannabis patients. The foundation also provides donation-free meds to patients in need, emergency financial services for terminally ill patients, and relocation assistance to medical refugees. Visit http://www.cannacruisexp.com for more information! All tickets are presale only! This Veterans Day, veterans from across the country will be converging on our Nation’s Capital. We intend to highlight a number of concerns within our community, and the effect of prohibition on our military families. Everyone who loves Freedom is invited to attend. Please message us for more details. D.C. Fair To Include Marijuana Growing Competition? For the first time, the District of Columbia State Fair will include a marijuana growing contest. Participants in the pot-growing contest will be judged on appearance, odor and touch, including whether the stem is sticky and whether it bends or snaps. HIGH TIMES returns to the Bay Area THIS WEEKEND for the 2015 HIGH TIMES NorCal Medical Cannabis Cup—and this time, we’re sparking up at the legendary Cow Palace! Tickets are still available, but prices will go up at the door, so make sure to get yours today. Let HIGH TIMES help kick off your summer June 20 - 21 in a highly-convivial environment filled with cool vendors, outrageous VIP experiences, seminars and classes taught by our world-renowned cultivation editors, plus live entertainment and so much more! Make sure to check CannabisCup.com and download our free HIGH TIMES smartphone app to stay up-to-date with the latest information about the event. I get e-mails and social media messages every day from people asking for advice about the growing marijuana industry. They want to know the trends, who to seek advice from, and opinions about their business ideas. I tell all of them the same thing – go to a reputable marijuana industry event. Sure, you can spend long hours trying to hunt down all of the marijuana industry leaders from various sectors, and trying to get them to respond to questions. However, I think you will find that most of the people that have the best advice are hard to reach because so many people are seeking their advice that they are likely speaking at an event. Events are good too because you can network with other people that are pursuing similar dreams as yours. You can learn tips and tricks that they have learned along the way, as well as provide your own knowledge to people that are newer to the industry than yourself. Some people scoff at spending hundreds of dollars to attend an event. But what I always tell people is if you can’t spare hundreds of dollars to fine tune your skills and take your business idea to the next level, then chances are you likely won’t succeed in the industry. There’s simply no other way to meet so many experts in one place, and be able to hear all of them speak on panels and keynote addresses. I can almost guarantee that if you attend a marijuana business event, you will learn things that you didn’t even know you needed to know. I have been running this blog for over five years, and I learn new things at every marijuana business event I attend. Part of that is because there are so many new ideas coming into the industry, and part of that is because the rules, regulations, and environment that surround the industry are constantly evolving. What is true one day may not still be true the next day.